Fitness4Life Training Center is a private training center located in Raleigh, North Carolina. We offer services that help members of our community achieve various fitness goals through a variety of group fitness programs designed to improve one’s health, encourage weight loss, reduce medication for common illness, and improve daily functions like balance, coordination, flexibility, strength, agility, and stamina. What makes Fitness4Life different is that we have the experience to help you reach your goals and we are small enough to give you the personal attention that you need. All of our instructors are certified and passionate about what they do. We offer you an environment where you will feel at ease and where we will help you achieve your personal goals. George is a certified personal trainer with NASM (National Academy of Sports Medicine) & IFTA (Interactive Fitness Trainers of America). He has a Bachelor of Science in Sports Management with a concentration in Fitness and Wellness. He has a combined total 20 years of experience as a personal trainer and group fitness instructor. He’s also a certified Karate instructor with over 15 years of martial arts experience. 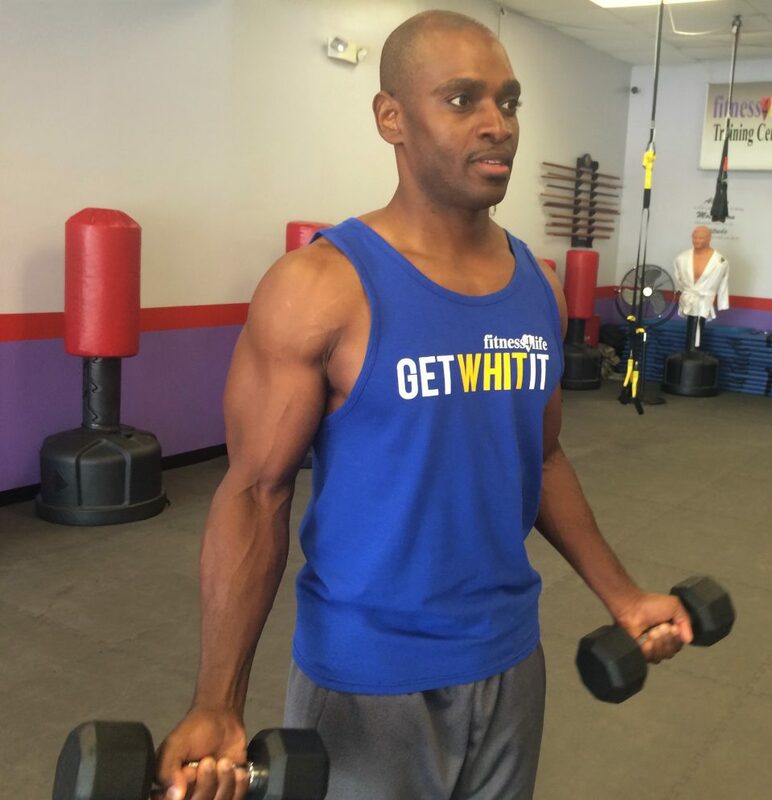 His enthusiasm for fitness and exercise is highly contagious, and he has helped many people realize the joys of fitness, exercise and regaining control over their health and lives – he’s ready to do the same for you! Stephanie is a certified personal trainer with IFTA (Interactive Fitness Trainers of America) and karate instructor. She is a certified blackbelt with more than 10 years of martial arts training and years of experience as a collegiate athlete. Through her many years of experience, she has influenced the lives of many with her passion for family and fitness.